Whatever your storage needs, we have the ideal solution. 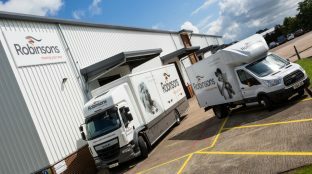 We’ve been helping people move and store their belongings for over a century and our market leading expertise means we’ll provide you with a flexible service that puts your needs first. We offer competitively priced, convenient storage throughout the UK, on a long or short term basis. Our storage service includes: Furniture and Personal Goods, Cars and Vehicles, Commercial and Business and Documents. We also look after belongings for Students too. How does our storage process work? You have a choice: you can either bring your items to us to store or you can trust us to do everything for you, using our hassle-free ‘full service’ process. It depends what’s right for you. If you choose the latter, we’ll organise a free, no obligation quote for the packing, removal and storage. If you are happy with the quote, our specially trained crews will collect and load your belongings into our containers and create a detailed inventory for each one. 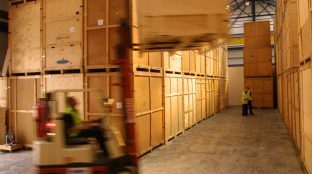 They are then kept secure in our warehouse, on a short or long term storage package to suit your needs. Our storage packages are designed for your convenience, and allow you to access your possessions during our working hours – perfect in case you need to collect items during the storage period, or are worried you’ve forgotten to pack something. At the end of your storage period, we offer the option to arrange for your items to be delivered to wherever you need them, and we can even unpack everything for you. If we are moving your goods for you, our purpose-built vehicles, operated by our fully-trained team, provide a safe, reliable journey for your goods. Whether you’re moving important documents or beloved family furniture, we’ll transport your goods safely and efficiently. 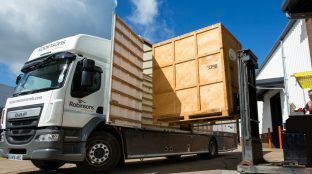 Robinsons lorries are designed to accommodate specific storage containers which we’ll carefully load your items into at your home before driving to our secure storage facilities. With Robinsons, you can safely store your most valuable possessions without leaving the house! Our team are trained to pack safely and strategically while you put your feet up. However, if anyone knows your possessions best, it’s you, so if you prefer to, you can choose to pack yourself, or we’ll pack under your supervision and provide a full inventory for each container. Entrusting your goods to someone else can be stressful so we ensure our storage facilities are clean, dry and well protected. For extra peace of mind, they also feature security alarms, pest control and fire reporting systems. It is essential that goods in storage are covered with a fire insurance policy, which can be arranged by us on your behalf, to a standard value of £50,000. This low-cost storage option could help you sell your home while saving time, money and hassle. Whether you’re looking to store furniture, documents, cars, commercial material or any other important belongings, we have the right solution for you.